This floor candelabra is 51" tall. It holds 5 taper candles or votive holders. The height is not adjustable. 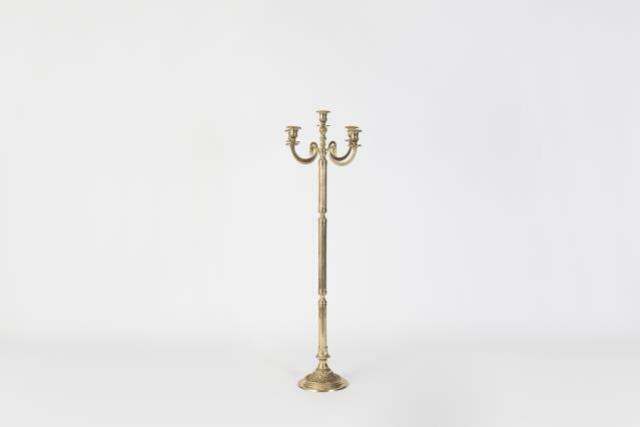 * Please call us with any questions about our candelabra floor brass 5lt rentals in Columbia and Jefferson City MO.